In a country where cricket is considered a religion, it isn’t easy to compete with a million other talented young men in the sport and make it to the top. But Virat Kohli, the epitome of aggressive sportsmanship and confidence did not just make it to the Indian team but also went to become the Captain of the Indian National Cricket Team for Test matches, and a Vice-captain for Limited over matches (ODIs and T20s). His cheekiness and self-assured attitude are also loved by all the millions of fans of the sport in India. From a small kid who played for the local cricket teams to the captain of Indian team, Virat Kohli had a long and inspiring journey. Today, at just 27, this right-handed middle order batsman isn’t just another Captain that the team has had already, but he looks to become one of the most efficient captains the team had ever had. 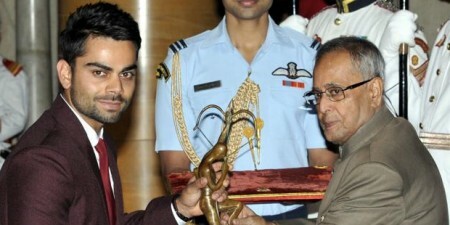 Virat Kohli was born on 5th November 1988 in Delhi, although his family originates from Punjab. His father, Prem Kohli, was a Criminal Lawyer and his Mother, Saroj Kohli is a Housewife. He has an older brother called Vikash and an elder sister called Bhavna. He was known to have had an affinity towards cricket from a very early age, as early as 3, according to some. He’d take up his bat, and ask his father to bowl to him. He studied at Vishal Bharti Public School and was raised in Uttam Nagar, Delhi. When he was a youngster, he played in the alleyways with the boys from the area, and the people around saw his talent even then. Everyone urged his father to not let his talent go to waste in gulley cricket and send him to a proper cricket coaching Academy. 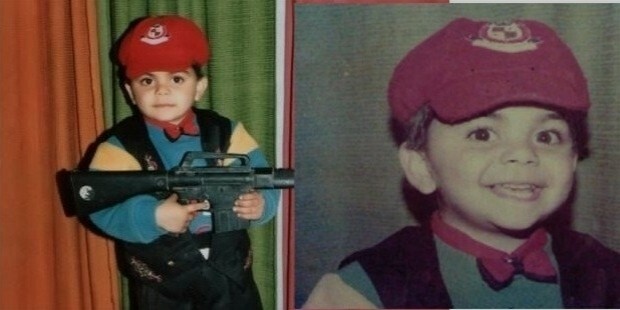 In 1998, a nine-year-old Virat Kohli joined the newly formed West Delhi Cricket Academy. His father, having recognised the potential in him, took him there. Here, Virat trained under Rajkumar Sharma and played matches in the nearby cricket academies including Sumit Dogra Academy near Noida. To help better his game, Virat moved schools to Savier Convent in Paschim Vihar. He is remembered at his schools as a bright and alert child, his academics were above the normal grade. 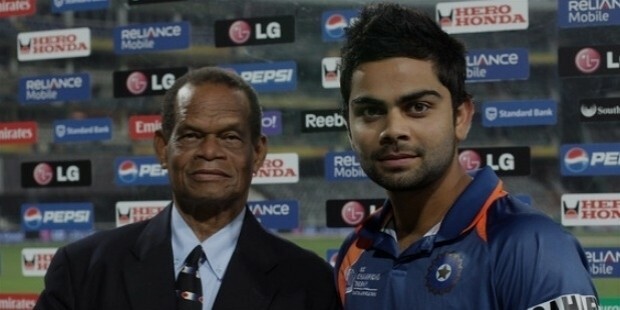 In 2006, Virat’s father passed away having been bed-ridden for a month after suffering a brain stroke. The family faced hard times after that, and Virat mentions that they had to live in a rented house after their family business started declining. Having seen tough times in his young life and lived through that, he is a person who has his priorities set. 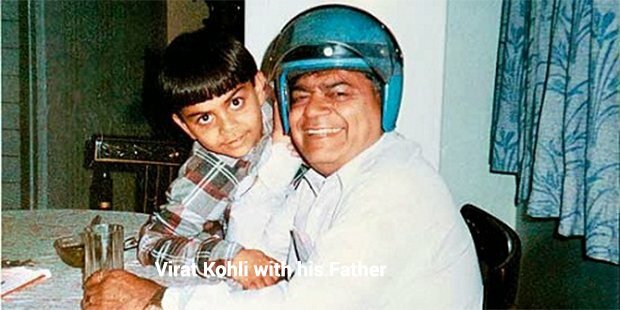 Virat has mentioned his father to have been his biggest support, that his father drove him to practise every day and that he still misses him sometimes. It wasn’t long before Virat was noticed by the scouts. He played for Delhi Under-15 team for the first time in October 2002 in the 2002-2003 Polly Umriger Trophy. Scoring the highest number of runs that year, he was made the Captain for the next year. In the 2003-2004 Polly Umrigar trophy, he scored two centuries and two fifties, totalling 390 runs in 5 innings. By late 2004 he was a member of the Under 17 Delhi Cricket Team for the Vijay Merchant Trophy. he blazed through the tournament scoring over 450 runs and made a high score of 251* in just four matches. The next year in the Vijay Merchant trophy, he made headlines. Virat Kohli was the highest run scorer with 757 runs in 7 matches with two centuries and a batting average of 84.11. 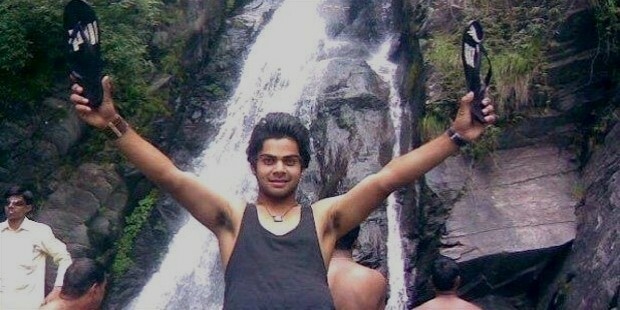 In July 2006, Kohli was selected for the India Under-19 Cricket squad for their tour of England. In the three-match ODI tour against England Under-19s, he scored at an average of 105 runs. 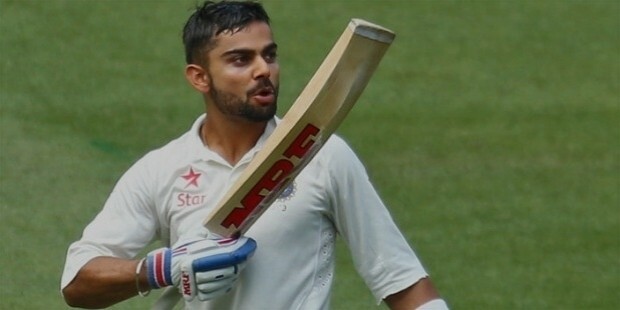 In the three tests that they played on the same tour, Kohli scored at an average of 49 runs. India Under-19 came back a winner of both the series. He even performed remarkably against Pakistan’s U-19 cricket team later that year. By this time, Virat had become a permanent fixture in the Delhi U-19 team as he showed his quality batsmanship over and over. He made his First Class Debut for Delhi against Tamil Nadu in 2006. He came to spotlight later that year when he continued to play his part in the match against Karnataka even after he’d got the news of his father’s death. He scored 90 runs in that innings and went directly to his father’s funeral from there. Everyone saw the change in him from then onwards, his sense of responsibility increased and according to his captain, he received a lot of accolades for his attitude and determination. "The way I approached the game changed that day. I just had one thing in my mind - that I have to play for my country and live that dream for my dad." In April 2007, he made his Twenty20 debut in the Inter-State T20 Championship and was the highest scorer for his team with an average of 35.80. Later that year India U-19 Team toured SriLanka, playing in a triangular series along with the Sri Lanka U-19s and Bangladesh U-19s. He scored 146 runs in the 5 ODI matches, and in the test series, he scored a hundred and a fifty ( a total of 244 runs). In February - March of 2008, he was made the Captain of the India Under 19 Cricket Team for the U-19 World Cup in Malaysia. He returned home victorious and with many achievements under his belt. Following his spectacular performance in both batting and bowling and also his capacity to keep his cool under pressure, he was bought by the Indian Premier League's Franchise of Royal Challengers Bangalore on a youth contract. He was awarded the Border-Gavaskar scholarship in 2008 along with his U-19 teammates Pradeep Sangwan and Tanmay Srivastava which allowed him to Train for six weeks in Brisbane at Cricket Australia’s Centre of Excellence. In the July of 2008, he was picked out for the tentative 30 man squad for ICC Championship Trophy to be held later that year. When the Championship Trophy was postponed to 2009, he was selected for a tour of Sri Lanka for an ODI series by the selectors of the Indian Cricket Team. In this tour is when he got his chance at playing on the Indian A-Team. 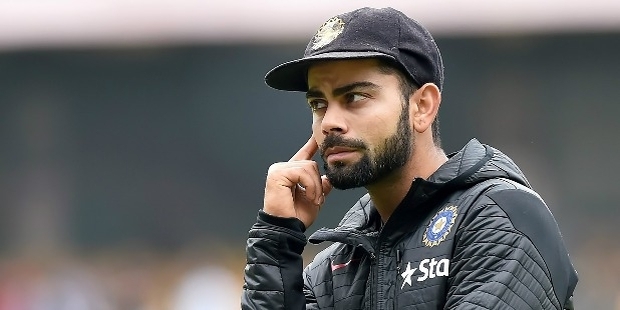 Due to both Sehwag and Tendulkar being injured and unavailable, Kohli was called up as a makeshift opening batsman for the team. He scored his first ODI fifty in that series, and India went on to win the series against Sri Lanka. After that, he was repeatedly called up for the Indian Team, although he didn’t much get chances to play. In July- August 2009, Kohli was selected for Emerging Players Tournament that was being played in Australia amongst four teams. He was the leading scorer in that tournament with 398 runs and a batting average of 66.33. 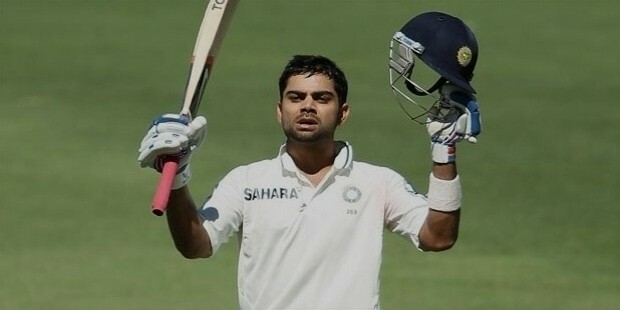 His century in the final match against South Africa Emerging players helped India win that match and clinch the title. Kohli himself said that this tournament was the ‘Turning point’ in his career. In the 2009 ICC Champions Trophy, he played as a substitute for the injured Yuvraj Singh. He also played on as a substitute as and when required in the ODI series at Home against Australia. He found huge success in the tri-nation series in Bangladesh in 2010 against Sri Lanka as well as the hosts. He scored his second ODI century making him the third Indian Batsman to score 2 ODI Centuries before their 22nd birthday. He again finished as the tournament’s highest run scorer with an average of 91.66. In the tri-series against Sri Lanka and Zimbabwe in May-June 2010, Suresh Raina was made the Captain of the Indian team, and the 21-year-old Kohli was made the vice-captain as many first team cricketers skipped the tour. Even though India crashed out of the series, Kohli managed to get enough runs to reach 1000 in ODIs, making him the fastest Indian batsman to reach that milestone. In the 2010 Asia Cup, Kohli wasn’t quite up to form but he was somehow retained in the ODI team for the next few matches of the Indian Cricket team. In an ODI series in late 2010 at home, Virat was once again made vice-captain of the team led by Suresh Raina. Kohli outperformed everyone and ended the year on a high note as India’s highest run scorer of the calendar year. In January 2011, Virat Kohli reached no. 2 in the ICC cricket Rankings as an ODI batsman, and he was named in the ICC Cricket World Cup’s 15 man squad. He justified his skipper’s faith in him by scoring an unbeaten century in the first match of the tournament. His performance in the final was a very important one and India brought home the World Cup for the first time since 1983. Kohli made his test debut in West Indies later that year, in which he seemed to struggle at first. But as luck would have it, he got to play quite a few test matches because of injuries to the first team players. He scored his maiden test century in Australia later that year where India lost badly to the Australians in both Test and ODI series. He was one of the few cricketers that have had to pay a fine for having retaliated against the spectators’ sledging. It was in the 2012 Asia Cup that Kohli was intentionally made the vice-captain, and not just because someone else was absent from the team. It was in this tournament that he scored 183 whilst chasing and broke Brian Lara’s long-standing record of 156. In 2013, in a home Test series against Australia, Kohli blazed his way to his fourth test century keeping a batting average of 56.80 in the series and cementing his place in the Test team. Kohli has an impressive strike rate of 132.99 in T20 International matches, which include the first three innings of the 2016 ICC T20 World cup. ICC Made Him 2016 T20 World XI Team Captain. in VIVO IPL 2016, Kohli won the Orange Cap for scoring a record Maximum runs of 973. He was also the awarded the honor of Man of the Series. Known popularly having a blend of Dravid’s intensity, Sehwag’s audacity and Sachin’s intelligent style of batting, Kohli is one of the greatest captains the Indian team ever had. And someone with such a gamut of talent definitely deserves the demi-god status that a cricketer often receives in India. Virat Kohli has admitted himself that he’s a superstitious person, he wears black wristbands for luck and a Kara since 2012. Earlier in his career, he used to wear the same gloves that he’d scored well with. Virat Kohli has been linked to various high-profile women over time. He has dated Sarah Jane Dias, an Indian Model, and VJ, Sanjana, another actress for a short while. For a while, he’s dated Tamanna Bhatia, Izabelle Leite, a Brazilian Model and lately he was in a quite a high profile relationship with Bollywood actress Anushka Sharma. As of early February he has confirmed that he’s single, having broken up with Anushka Sharma. Virat Kohli has a total of four tattoos. The two on his right hand are pretty straightforward. One of his Zodiac sign Scorpio and another is a tribal design that he has yet to reveal the meaning of. But the two on his left are what speaks volumes about India's Test Skipper. The Tattoo on the inside of his upper left hand is that of a Samurai with a raised sword. Virat Kohli had said about that tattoo that he admires the discipline, the training and the focus of the samurai warriors. And the tattoo on his left forearm is the Chinese symbol of Faith. He says that the tattoos talk about who he is as a person, and they are very personal as well as important to him.